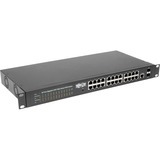 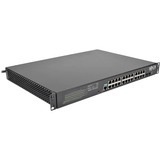 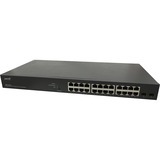 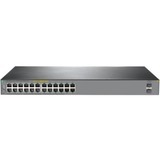 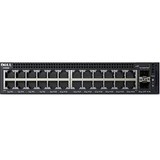 HP 1820 Switch Series devices are basic smart-managed, fixed-configuration Gigabit Ethernet Layer 2 switches designed for small businesses looking for key features in an easy-to-administer solution. 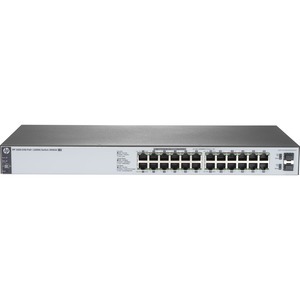 The series consists of 6 switches including 8-, 24-and 48 port Gigabit Ethernet switches and 8-, 24-, and 48 port Gigabit PoE+ models each providing non-blocking Gigabit per port performance. 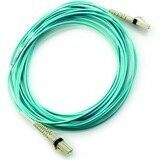 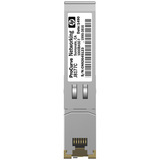 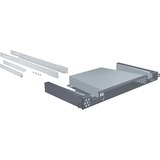 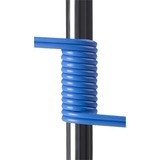 Some models include SFP ports for fiber connectivity and some are fanless, making them ideal for office deployments. 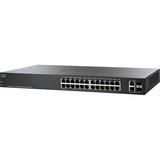 All 1820 Switches support flexible installation options, including mounting on wall, under table, or on desktop. 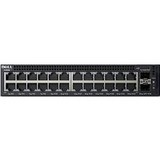 The 8-port Gigabit Ethernet model can be powered by an upstream Power over Ethernet (PoE) switch for environments where no line power is available. 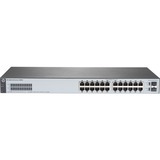 These Gigabit switches are plug-and-play out of the box, yet network operation can be fine-tuned through features available from a simple web browser-based GUI, if necessary. 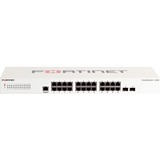 Customizable features include VLANs, Rapid Spanning Tree, IGMP Snooping, link aggregation trunking and DSCP QoS policies. 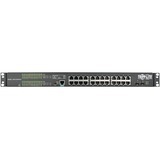 All models include the latest energy-saving capabilities, including Energy Efficient Ethernet (EEE) and idle-port power down.